This is a follow up article to suggest a Sonos alternative to fill the gaps when the Sonos system begins to break down. The Mirage Audio System by Autonomic Controls is a turnkey, whole home audio system that allows you to enjoy streaming music content from nearly every service as well as your own music library. Play music in one room, different music in many rooms, or start a party and fill the entire home with audio. The Mirage Audio System is a premium alternative to Sonos. It offers better sound, better control, supports Apple Airplay, and hosts content within it’s own solid state hard drive. It’s high powered 100W per zone amplifier, bring your own speaker design, and unbuffered audio inputs makes it better Sonos alternative in every facet of it’s design. The Mirage Audio system is a suite of products that includes media servers, amplifiers, keypads, and software applications. 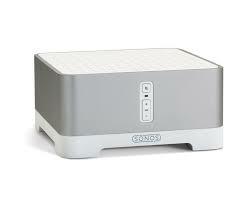 When used together they create a high quality, turnkey, comprehensive whole home audio system. Through it’s easy to use interface it puts the most relevant streaming services and your own digital library at your finger tips. It has built in synchronization utilities that automatically copy your content and keep your library updated without any further user input. As a better Sonos alternative, your music library is kept on its internal solid state hard drive which means that it does not depend on any third party computers to host the collection. Discovering new and exciting content is easier than ever. Listen to your local radio stations, global radio stations, playlists automatically tailored to your taste, your favorite streaming services like Pandora and Spotify, or listen to your own music library. 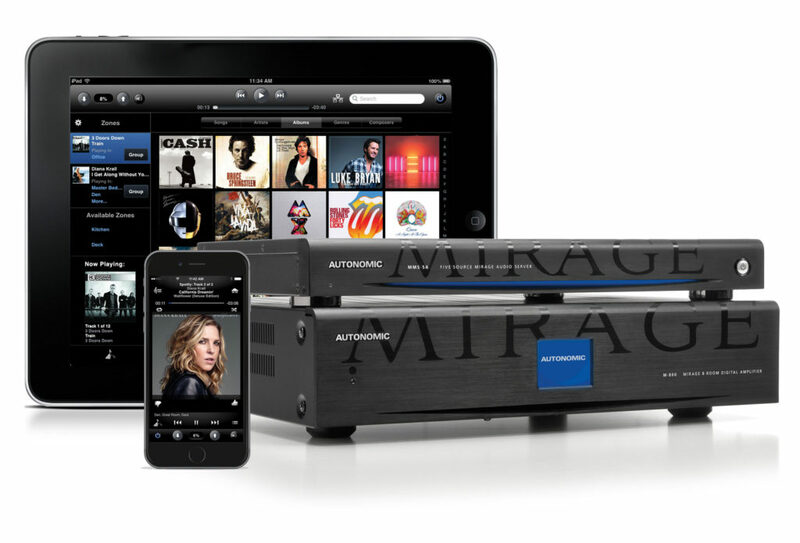 The Mirage Media Server MMS-2A, MMS-5A, and eSeries streamers all support Apple Airplay. The control interface available on all smart phones, tablets, and computers makes managing and navigating the content very simple and easy to follow. It distills all available content into one easy to use control app. It’s an easier to use Sonos alternative. The powerful 100W per zone amplifiers of the M-400 and M-800 digital amplifiers are the perfect power source for premium quality in-ceiling, in-wall, or tower speakers. This Mirage audio system was specifically designed for the custom home audio and home automation environment and is perfect for a centralized environment hosting many rooms of in-ceiling speakers. Robust power output, a powerful standalone UI, and streamlined integration into the custom environment make the Mirage Media Server by Autonomic Media Controls a truly better sonos alternative for high quality and/or custom applications. Streaming content providers include Google Drive, iHeartRadio, Last.fm, Murfie, Deezer, Napster, Pandora, SiriusXM, Slacker, Spotify, Tidal and Tunein. Services are routinely added through firmware updates so that the media server always supports the most relevant services, which eliminates the need to buy new hardware simply to support a new service. Local content is also available as a source of music. The Mirage Media Server MMS-2A, MMS-5A both have internal hard drives that can support libraries of up to 10,000 and 25,000 songs respectively. A solid state hard drive means lightning fast delivery of content, there is no need to wait for the disc to spin up. When installed on a computer with an iTunes, or any other music library, the sync utility constantly keeps the media server’s hard drive up to date with your library. Shortly after purchasing a new song it becomes available on the whole home audio system. If you have multiple homes you can sync multiple servers together with Mirage Cloud Sync. If you commonly access a personal music library, you will enjoy this Sonos alternative because it does not depending on other devices being powered on and configured in order to play music. Perhaps the single greatest reason that the Mirage Media Server is a premium Sonos alternative is that it supports Apple Airplay. It doesn’t just “play a song from this device,” it will actually broadcast any audio from your iPhone, iPad, or MacBook into your whole home audio system. This includes YouTube videos/music, a favorite services that is not yet supported, or even music from guest’s phones that may not have downloaded the control app. Tunebridge is a feature unique to autonomic. It allows you to explore and discover new music across multiple streaming services and your own local music library. TuneBridge bridges that gap effortlessly. It’s essentially cross-media integration across all your local and streaming music. 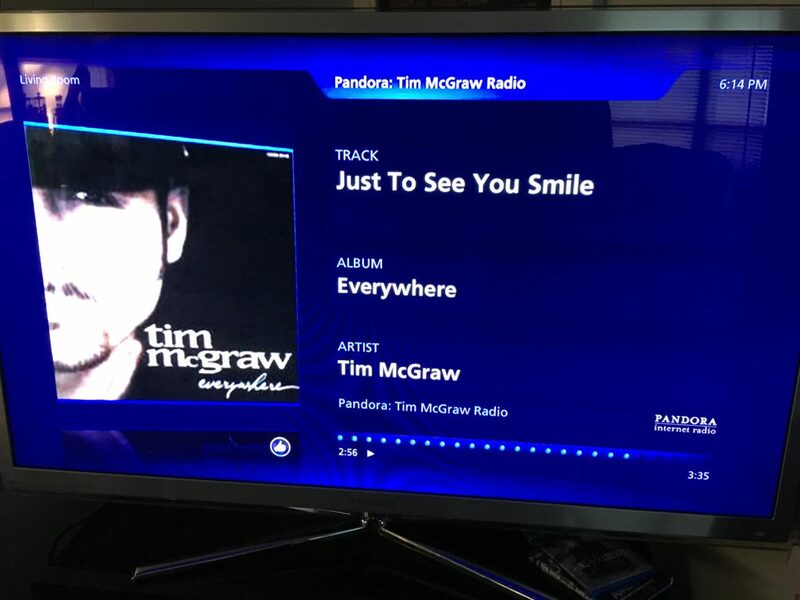 Let’s say you hear a song you like on the SiriusXM steaming service, you can finish listening to the album on spotify, then launch a new station on Pandora based on that artist. 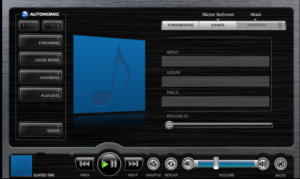 By tapping the TuneBridge icon you will be able to see all of your available options. High quality sound is paramount to Autonomic’s mission. Content stays digital all throughout their amplifiers all way back to where the speaker jacks are. It is here where the final digital to analog conversion takes place. This is a unique feature to autonomic and results in very high quality audio output that is less subject to noise. This conversion is High Resolution 24-bit/96 kHz. Sample rates on the digital outputs are selectable to 44.1 kHz/48 kHz/96 kHz at 16-bit or 24-bit resolution. These products have an excellent signal to noise ratio, great dynamic range and channel separation. A true audiophile experience. This is a Sonos alternative that sounds better. Bring your own speakers or even connect to your surround sound system. The internal amplifiers are clean and powerful making it a better alternative to Sonos when using in-ceiling, in-wall, or audiophile grade tower speakers. Use the pre-amp outputs to power a surround sound receiver or even higher powered external amplifier. The Autonomic Mirage Audio System offers 4 zone and 8 zone amplifiers, the M-400 and M-800 respectively. The amplifiers switch the audio between rooms automatically through the Mirage control app. They can be stacked to control a total of 96 zones. 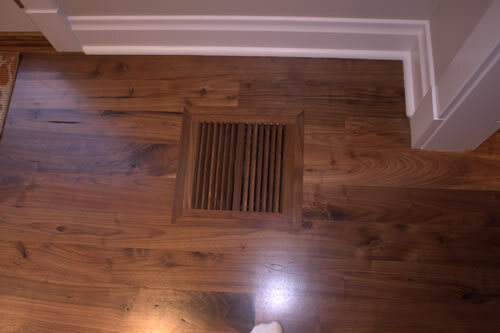 Scalable from 1-96 zones, it is a the perfect size for any residential environment. It’s a Sonos alternative that is built for the custom environment that has more rooms than Sonos was ever intended for. They feature both digital and analog inputs on every single source. They are bridgeable and have zone linking capabilities. Power output is 50 watts/ch @ 8 ohm, but they are also 4 ohm stable. Model M-400 has 4 amplified zones. Bass, treble, loudness adjustment on each zone. Every source features coax and toslink digital input. They also have analog inputs. Full control protocol over ethernet or RS232 to integrate with control systems such as RTI, Elan, Crestron, AMX, Savant, Control 4, URC, and more. The Mirage system has a few ways to access and control it. 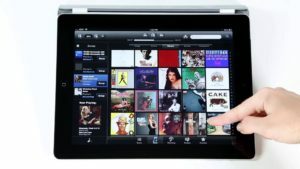 Listed below are options for user interfaces which will allow you to seamlessly blend room control with music browsing. Simply put, they make the experience enjoyable and simple. Whether you’re controlling music in a single room, multiple rooms, or grouping rooms together it is fast and straightforward. 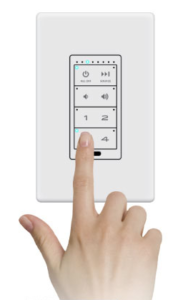 Volume control in just one or all your rooms is easy. The Mirage Audio System is a sonos alternative that includes built-in HDMI and VGA video outputs. Pictured here is the on screen display being sent to a television via HDMI. It displays track information, album art, the music source, artist information, shows song length and current play position, play/pause status and more. The Mirage Audio System is a Sonos alternative that actually offers in-wall control options. The elegant and economical KP-6 controller provides basic zone power, volume and source control, ensuring that you can always quickly adjust the volume or power a zone on or off without requiring a smartphone, tablet, or a computer in your hands. 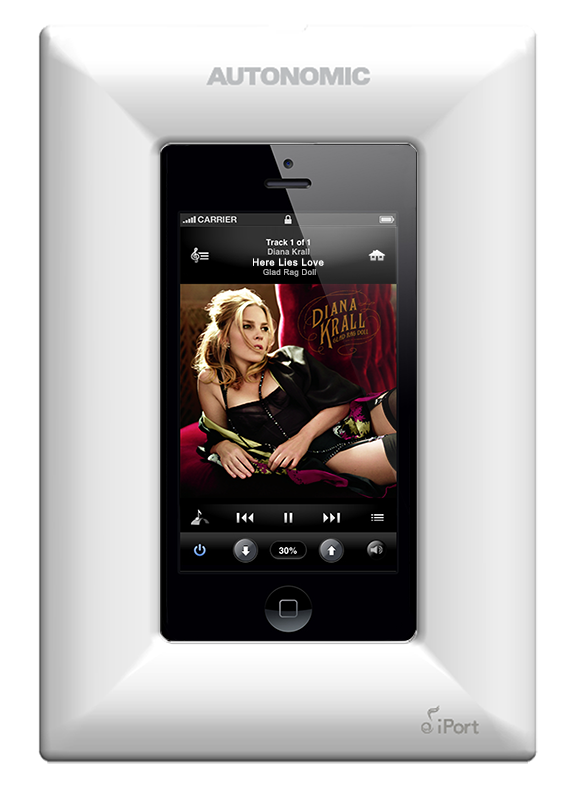 For more advanced control, the KP-iOS is a 4th generation iPod touch mounted on the wall and constantly powered. It provides track information, album art, and facilitates complete library and music service browsing with the Mirage Media Controller app. Of course, the iPod can also run any iOS iPhone / iPod application for whatever else you might desire, such as local weather apps, news, traffic information, or even home automation control. Control you Autonomic system easily from any web-enabled computer or tablet. A flash application can run right in your browser and there is also a standalone Windows application that can be installed. The Mirage Media Server is the Sonos alternative of choice for all home automation equipment manufacturers. 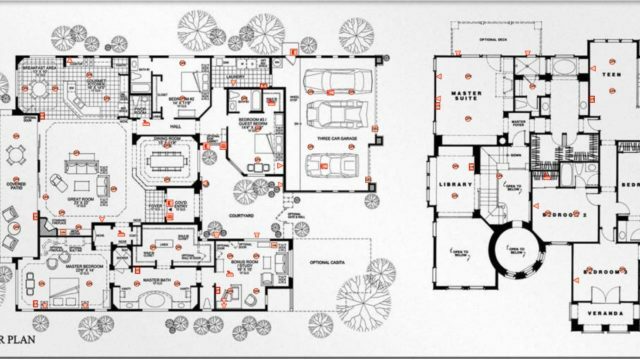 It was specifically designed to communicate with home automation systems. Elan, AMX, Control 4, Crestron, URC, RTI, and many other control platforms offer drivers built to reap all the benefits of this powerful solution. Every function on the Mirage Audio System can be completely controlled using the devices you know and love, including iOS and Android. Just load the free mirage app on your phone or tablet. These apps are laid out for simplicity yet allow for complete control of your music in all zones. See the video below for an in-depth overview of the Mirage app on an iPad. See the video at the top of the page for a great walk through.